We have some late-breaking news concerning tomorrow’s South Norwood Arts Festival and the Save the David Lean Campaign screening of Basically, Johnny Moped tomorrow night! We have just heard that two of the band’s current line-up, Rob Brook and Jaco Pistorius (guitar/bass) plan to come. Furthermore, councillor Stuart Collins will be also be there. He has been a staunch supporter of the Sensible seat and garden project in South Norwood, and has been a fan of the Moped group since the early days. While Mayor of Croydon in 2003 he actually introduced the Damned (in which Captain Sensible now plays) on the stage of the Fairfield Halls! It is very fitting that a former mayor should be attending at Harris, as the then mayor was present when the film was shown at the launch night of the David Lean cinema in March. The director of the film, Fred Burns, will participate in a Q & A session after the screening. The film is being shown at Harris Academy, Cumberlow Road, Stanley Tech’s successor school. 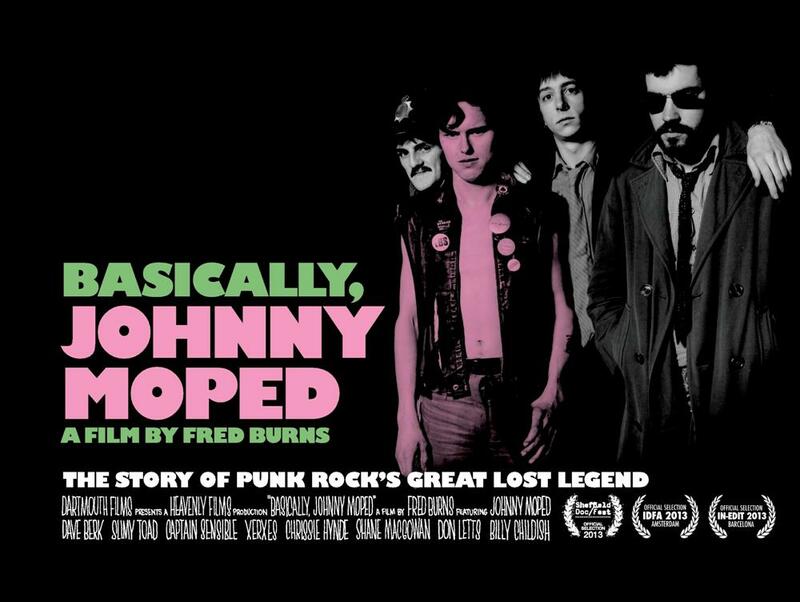 Whether you like punk rock or not, the film has a lot to offer, with plenty of human interest and a strong Croydon period feel: it’s often very funny, with lots of quirky stories.